Is it wrong to try to make the Imperial March your babys first memory? So, paternity leave is over, and things are returning somewhat to normal, apart from lack of sleep. Not much sleep the last few days, and plenty of diapers... 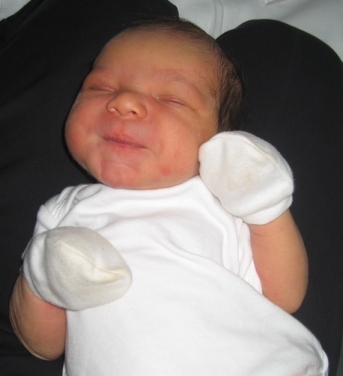 He's our first child, and was born 22:49 on April 30th, 2009. Boy, 3.8kg, 49cm long... Programming with a child on one arm is "interesting".